With one of these trip take a while to discover the Loire. 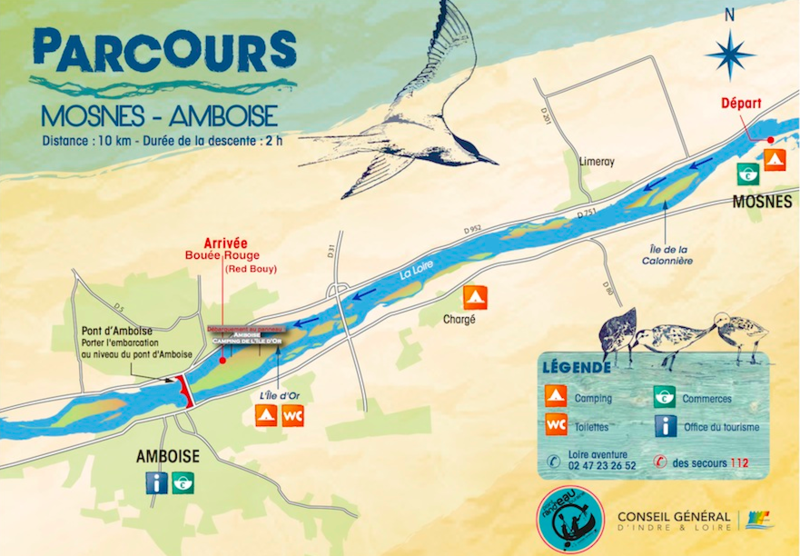 Meet us on the Ile d'Or in Amboise, we'll transfer you to the departure point. Whether you choose to leave from Chouzy (all day long) to explore what the Loire has to offer, Chaumont (facing the Castle), or Mosnes (half day), your unique journey ends opposite Amboise and its castle. Enjoy at your own pace the quiet of the Loire for a picnic, a well deserved siesta... The many islands and protected areas offer you the chance to truly discover the hidden gems of the river's natural environment. The Loire offers the perfect opportunity for self supported canoes expeditions. From 2 days all the way to a "full length expedition", you'll be able to choose your accommodation type (natural site except for protected areas, campsite, B&B, hotels ...) , and paddle at your own rythm. It will not only be a true discovery of the river, but a personnal journey too... We will advise a suitable itinerary and appropriate equipment, backed up with our passion for the Loire and our experience in expedition canoeing.